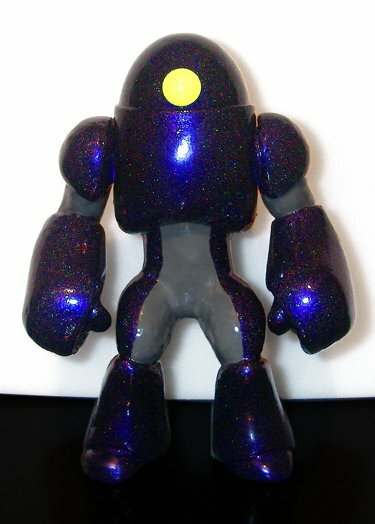 Here is a pic of the Galaxxor 008 prototype. It features a really eye-catching finish of Grape Ape by Monster Kolor, with a liberal dusting of their rainbow holographic glitter for added "pizzazz". I'm still trying to figure out how best to capture the effect in a picture (as evidenced by this experimental attempt on my space kitchen counter with a space cutting board as the backdrop), but I hope to have some great pics in the near future. Along with those will be coming details on the when? where? how many? and how much? 's of the 008's.